Mount Rinjani Volcano is an active volcano in Indonesia, located on the island of Lombok, West Nusa Tenggara. Its rises to 3,726m above sea level making it the second highest volcano in Indonesia. And Mount Rinjani offers exploration of beautiful natural landscapes. Discover the beautiful world nature based on eco-tourism with the beautiful Crater Lake known as Segara Anak or Anak Laut (Child of the sea) and preserve this beautiful natural world through eco-tourism. This lake is approximately 2010m above the sea level. See the baby volcano or Gunung Baru Jari, an active volcano in the middles of the lake, approximately 350m above the lake level or 2360m above sea level. Experience the healing hot springs close to the lake near the campsite, a short 10 minute from camp. Trekkers can enjoy the hot springs on descent from Mount Rinjani summit if beginning their journey from Sembalun, or before climbing to the summit if commencing in Senaru. Mount Rinjani is a holly Mountain, climbed for religion purposes (meditations) by local people who believe in the spirit of Mount Rinjani. Every year the Hindus religion from Lombok island of Bali climb to Mount Rinjani for meditation and prayer. Local people from the foot of Mount Rinjani believe that the healing hot springs close to the lake can cure all kinds of diseases. 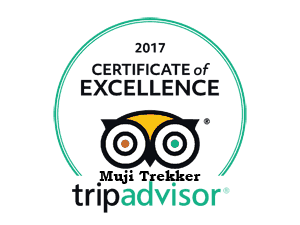 Muji trekker knows how to meet their clients expectations for adventure in Lombok Island. 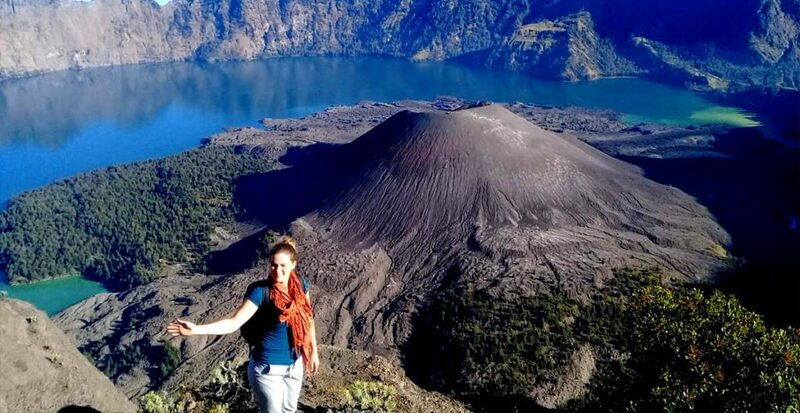 We provide two affordable Mount Rinjani trekking package options: Standard Package Service & Budget Package Service. Reaching Mount Rinjani summit is fastest from Sembalun village and is the most popular route for most trekkers from around the world for the short or longer climbs. Mount Rinjani summit can be done in 2Days – 1Night trekking via Sembalun. What to see in Sembalun.. ? We recommended taking a half day tour to explore the beautiful Sembalun valley, on the foot of Mount Rinjani before starting your trek. Visitors will discover Sembalun village is the city of the hills, rich in agriculture, unique culture and tradition. Click here for Sembalun Panorama Walk. We recommend starting from Senaru for trekkers who have limited time or not wishing to climb to the summit, to see the wonderful crater lake at 2640m above sea level (Pelawangan Senaru). Walk through the beautiful rainforests and catch a glimpse of many animals, your 2Days- 1Night trekking Crater Rim Senaru will be an adventure. Prior to the start of you trek, we recommend exploring the natural beauty of Sindang Gila and Tiu Kelep waterfall which can be reached by foot from your hotel in Senaru. For more information about the waterfall hike click here. For more infomation please follow the link to e-mail or call us directly and we will be pleased to assist you Contact Us.